Internal migration is a defining megatrend of our time: it brings with it the potential for vast economic growth and sustainable development, but until governments have the information they need to engage in evidence-based policymaking, the positive transformational potential of internal migration will remain unrealized, and migrants will be unable to fulfil their aspirations. Unfortunately, the available data on internal migration in Southeast Asia is often sparse or not comparable between countries, rendering analysis of regional internal migration difficult. 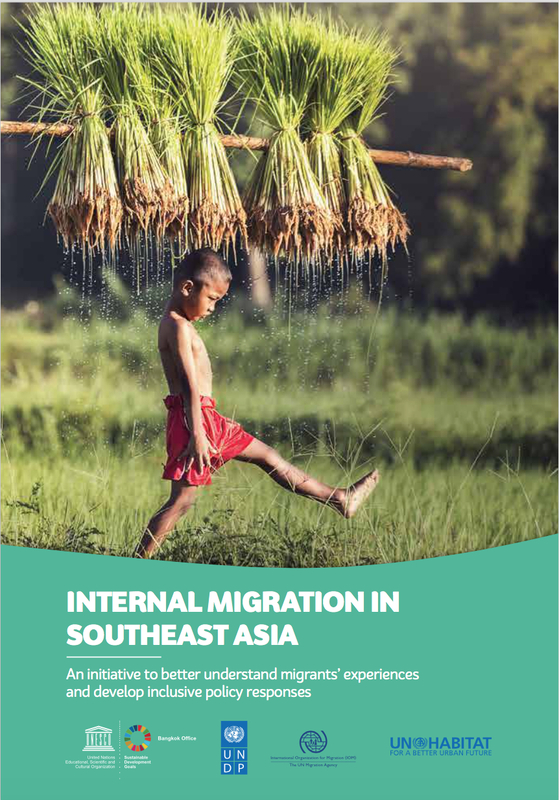 The Policy Briefs on Internal Migration in Southeast Asia, produced jointly by UNESCO, UNDP, IOM, and UN-Habitat, summarize currently available research on internal migration across 9 Southeast Asian states, and provide recommendations to policymakers and researchers on the steps that need to be taken to fill currently available data gaps, from recommendations on research priorities to specific policy initiatives that will help migrants contribute to their communities and nations. These Policy Briefs also represent the final outcome of the first stage of a research project on internal migration in Southeast Asia, jointly undertaken by UNESCO, UNDP, IOM and UN-Habitat in collaboration with in-country researchers and authorities, to understand internal migrants' experiences and develop inclusive policy responses to internal migration. The Policy Briefs are comprised of 10 separate briefs: the first brief provides an overview of key trends and challenges relating to internal migration across the region, as well a set of recommendations to policymakers and researchers. The following country briefs summarize available data on internal migration across 9 states in Southeast Asia: Cambodia, Indonesia, Lao PDR, Malaysia, Myanmar, Philippines, Thailand, Timor-Leste, and Viet Nam.